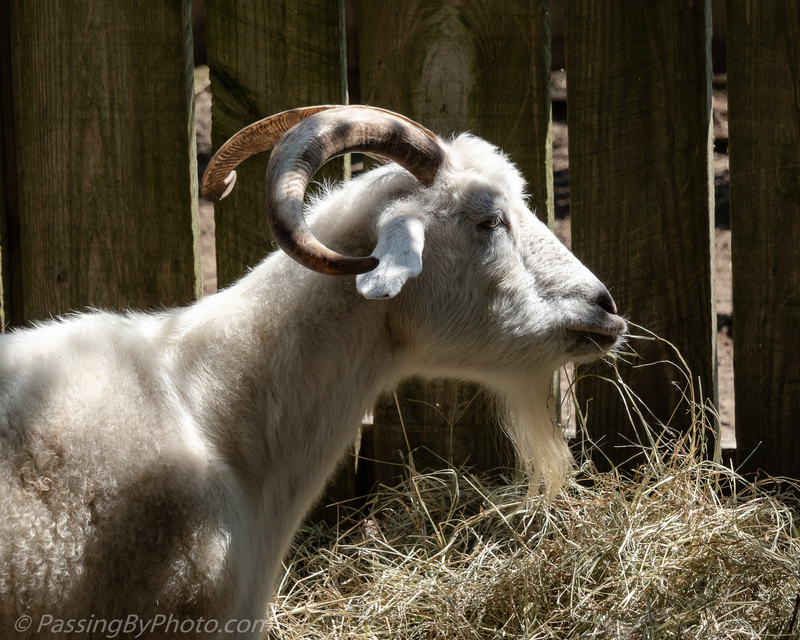 Cashmere Goats are one of the heritage breeds that Middleton Place houses in its barnyard, devoted to animals that were known to be on the farm at some point during the 18th and 19th centuries. Over numerous trips here this is the closest I’ve come to an “action” shot of one of the goats. In the 1850s, Williams Middleton imported and raised cashmere goats, sending their treasured hair to France where it was processed into cloth. 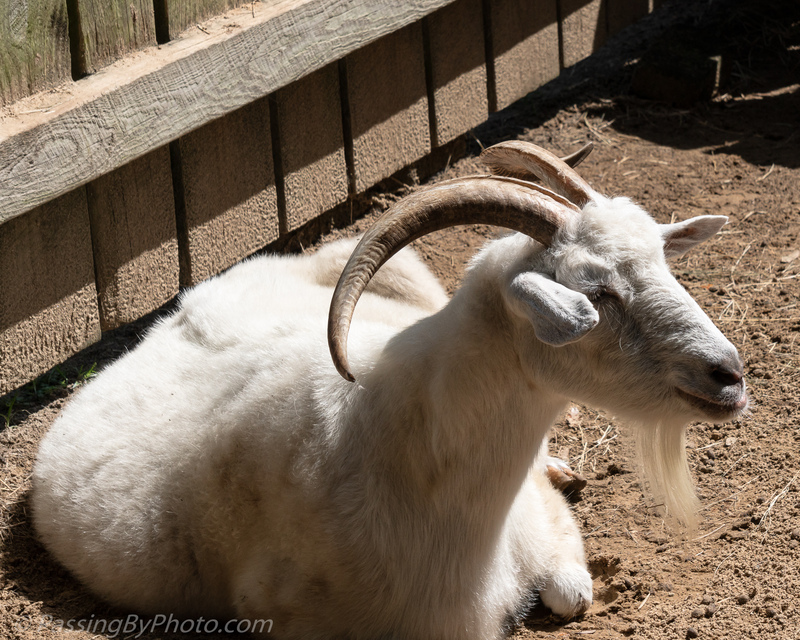 The goats need minimal shelter due to their dual coats. 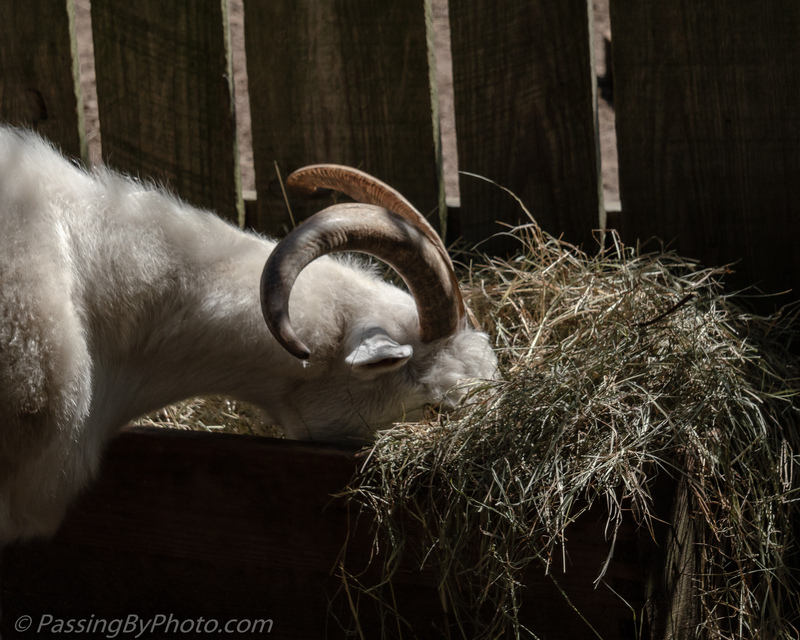 Each year, starting in March, the goats’ hair can be harvested by combing out their winter coat. Nicely done Ellen! I particularly like the profile shot. Thanks, Belinda! It was nice he was extra clean that day–his paddock was surprisingly dry after all the rain we’ve had.